Probably the most common way of capturing network data is not a decision between SPAN or TAP – it is Wireshark simply being installed on one of the computers that need to be analyzed. While this an easy way to capture network packets it is also an easy way to get “wrong” results, because there are a lot of side effects when capturing packets directly on a computer. I discussed a lot of these side effects in my Sharkfest 2013 talk “PA-14: Top 5 False Positives” already, but let’s go check them out again. A few days ago, Olli, one of our team members, sent me a funny trace that he’d taken while configuring the security settings on a Netoptics Bypass kit. This device has an SNMP and HTTP management service, and when he disabled the HTTP service he verified if the setting was accepted (like you should). Usually, there would either be a Reset packet coming back when a SYN is sent, or no answer at all. To his surprise, the device behaved a little different than expected. For a current IPS/IDS project I was looking for a test system to benchmark various IDS/IPS engines. The idea was to record network captures carrying malware samples in HTTP, SMTP or other protocols, and replaying them against the various detection engines. Problem with that is that tools like tcpreplay, bittwist or Ostinato all replay the trace on a single network card, which means that both “client” and “server” side of the communication are injected into the same NIC of the detection engine. 15 years ago, Wireshark was “born”, so happy birthday! Trace file anonymization, trace file sanitization… it seems like I can’t decide whether to call it “Sanitization” or “Anonymization” – even in my code base it is sometimes called the first, sometimes the latter. Of course there is a small difference between the two – one is removing sensitive data by cutting it away, while the other replaces it with something generic. 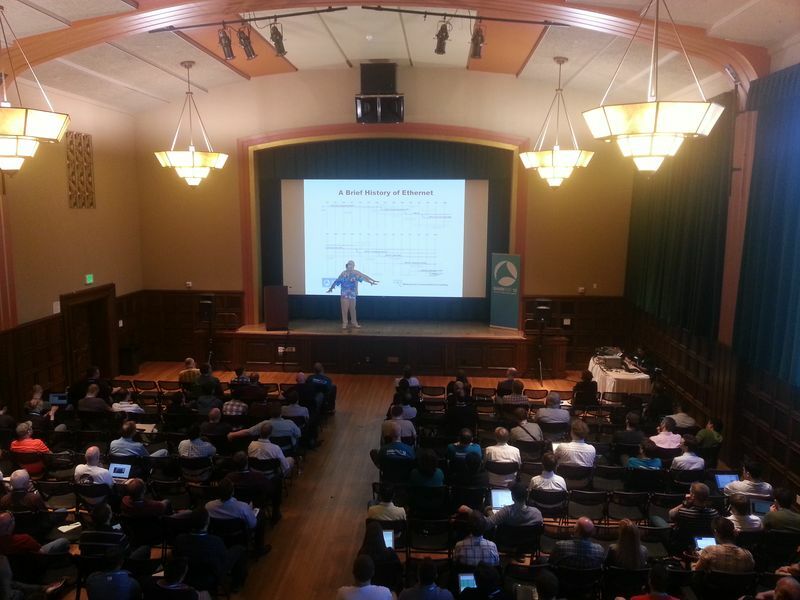 Yesterday I returned from the annual Wireshark conference, Sharkfest 2013, and once again it has been a great conference. I had four talks (well, actually I had three, but one was scheduled to run twice and it looks like I never do a talk the same way), and one of them I did together with my coworker, Christian.